Where to begin!? 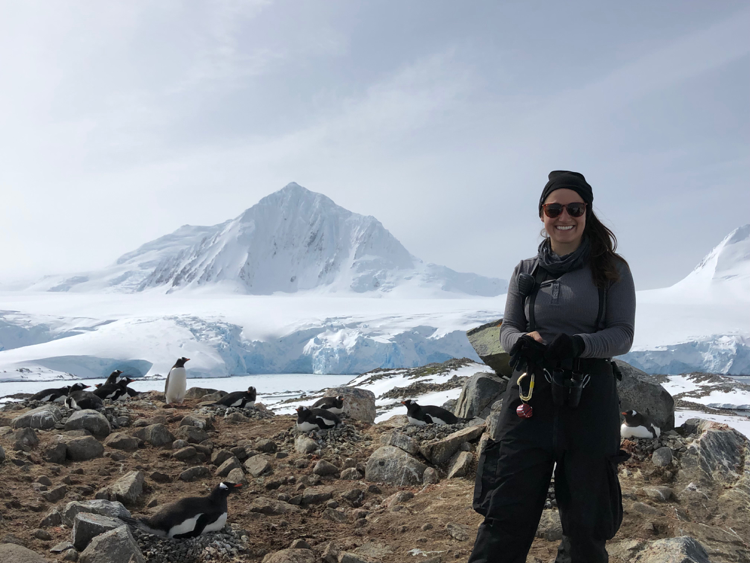 I recently returned from a six-week expedition to Antarctica, living and working at the U.S. Palmer Research Station to study the populations of penguins and other seabirds. I’m still in awe of the whole experience. 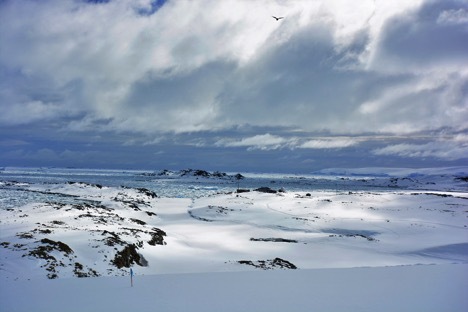 Palmer Station is the base for a long-term ecological research program, where scientists are studying all aspects of the Antarctic ecosystem. The fieldwork conducted there through the Polar Oceans Research Group has been ongoing for 40 years, resulting in the collection of a lot of data. While scientists have determined that the climate is severely warming and affecting all regions in the world, the greatest effects are seen in Antarctica. 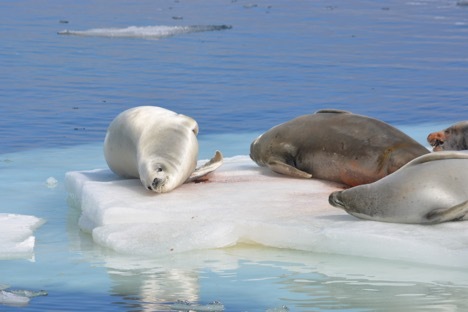 Declining sea ice levels are negatively impacting many species of wildlife that depend on it. Sea ice is crucial to the Antarctic ecosystem, and its loss can have profound effects. One example of this can be found by examining a small crustacean called krill. 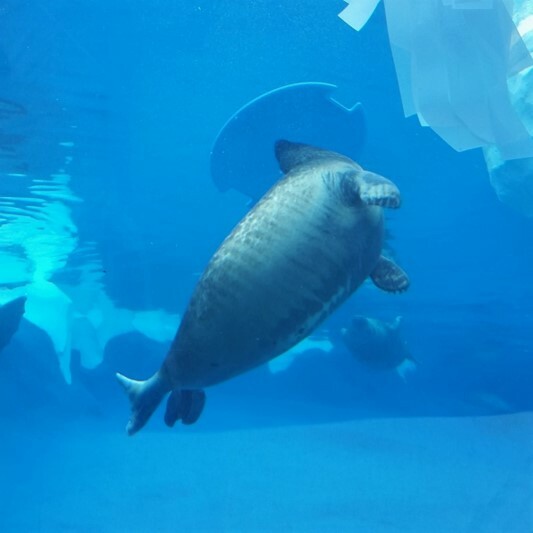 This animal feeds on the algae that grows underneath the ice and is a primary staple in the diets of many species, including penguins. Declining sea ice means fewer krill, which means less food for the fish that eat them and as a result, a depleted food supply for penguins and the rest of the food chain. Sea ice losses can occur from both warmer air above it and warmer water below, and increased air and water temperatures means more snow. This makes it difficult for penguins to build their nests and when the snow melts, the nests are at risk of flooding and these birds may find their eggs floating in puddles. Upon my arrival at Palmer Station, we began conducting a breeding chronology study with two colonies of Adélie penguins on two local islands. We selected a few nests to observe throughout the season – our observations included periods of birds laying their eggs, the chicks hatching, and the chicks heading off on their own. These nests were monitored daily for predation and for the exact dates of chicks hatching. We also chose nests to be assessed for body condition and egg morphometric data. We took measurements and weights of birds and eggs to obtain a sampling data size of a larger population. As part of another aspect of the program, we counted the number of individual birds in colonies of Adélie, gentoo and chinstrap penguins. One island was home to 6,000 gentoo penguins! Boy, did my thumb hurt that day from using a clicker counter. Unfortunately, most Adélie colonies were in decline from recent years’ data while gentoo numbers were increasing. One of the reasons for this is Adélie penguins rely more on sea ice than gentoos for feeding. 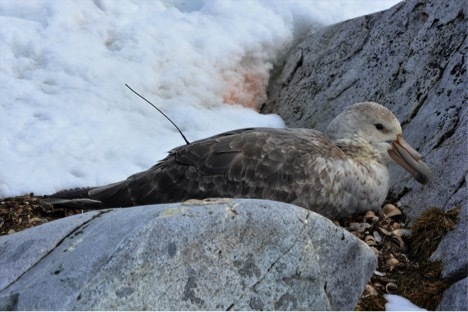 The sea bird program not only involves the study of penguins, but also every other species of bird surrounding Palmer Station, including giant petrels, brown and south polar skuas and kelp gulls. These species were monitored in various ways including mark-recapture, leg band re-sights and nest observation. 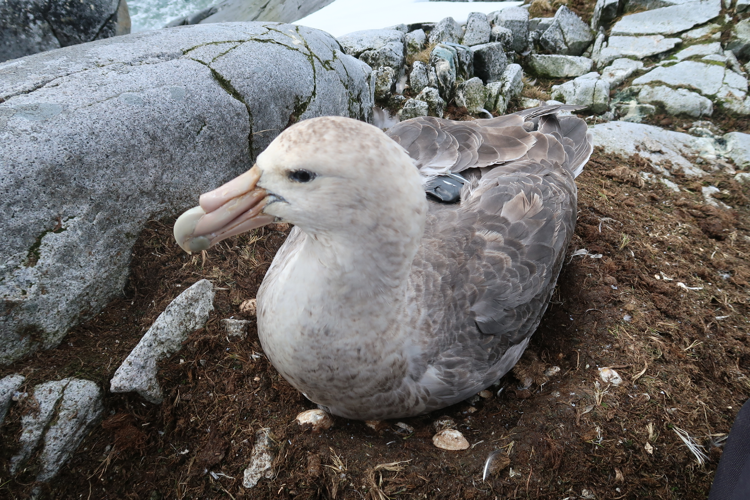 We even deployed satellite transmitters on southern giant petrels – the data from the first transmitter we analyzed showed that the bird had traveled 1,500 miles in just 10 days! In addition to bird surveying, we were asked to conduct a marine mammal census by identifying species, behaviors and group size. 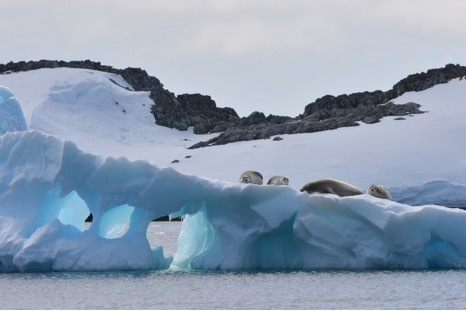 As a seal keeper, seeing various seal species in the wild was just beyond anything I could have imagined – Antarctica is home to crabeater seals, weddell seals, ross seals, elephant seals, fur seals and the infamous – and dangerous – leopard seals. The Detroit Zoological Society has worked with the Polar Oceans Research Group for a number of years – its founder, the world-renowned polar ecologist and penguin expert Dr. Bill Fraser, was a consultant on the design of the Polk Penguin Conservation Center. 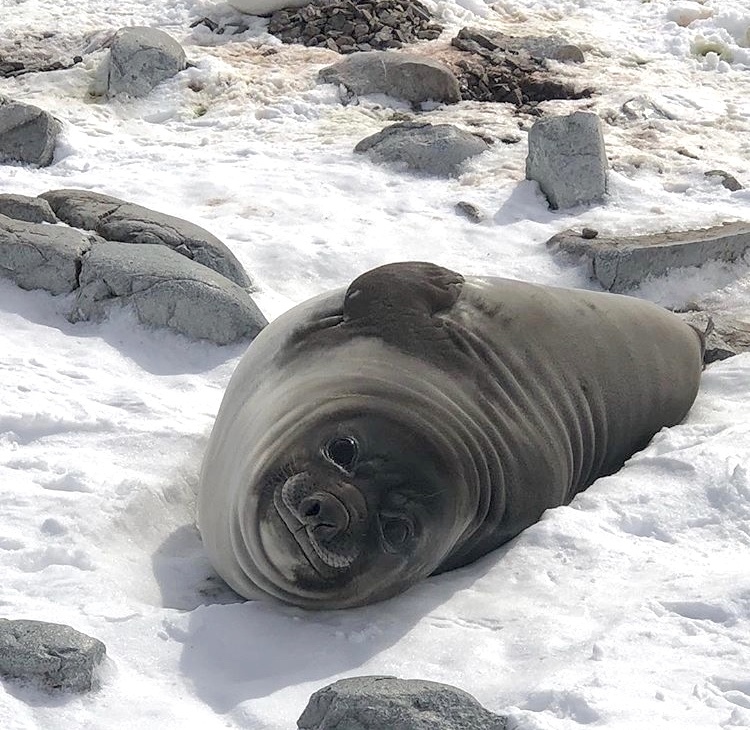 This is the second time a member of our animal care team has been invited to take part in this rare and extraordinary opportunity to conduct scientific research in Antarctica during the austral summer. – Flo Yates is a zookeeper for the Detroit Zoological Society. This week started with our usual routines and turned into the best “fieldtrip” ever. We cruised through our work of counting penguins and weighing chicks and then we saw a wonderfully calm weather window. We had an extremely favorable, gentle forecast, which allowed us to make a special trip out to the Joubins – a special group of islands that our field team only has the opportunity to see once or twice a year because they are located outside of our boating limits. We packed two boats as a safety precaution and sailed westward. The krill was thick and the ocean was pulsing with hungry predators. We spotted a humpback whale on our journey out, shortly followed by hundreds of crabeater seals and numerous penguins swimming around. Crabeater seals have very specialized teeth, which enable them to filter the ocean water while devouring krill. Some crabeaters were in the water while many others were laying on the large pieces of ice that drifted past us. There was even a leopard seal in the area, which could’ve been bad news for the “crabbies”. 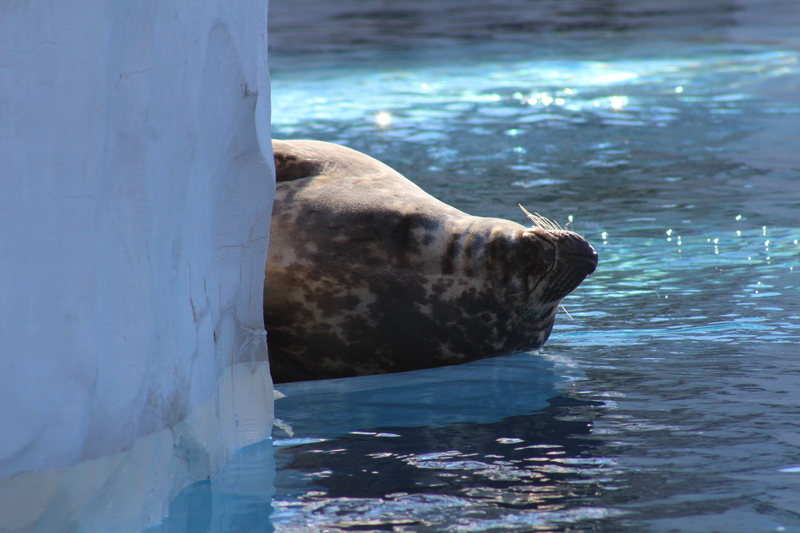 The much bigger leopard seals will eat crabeater seals given the right situation. We made it to our first study island and were pleasantly greeted by Adelie, chinstrap, and gentoo penguins. This island was particularly fascinating with all three of these penguin species breeding together in the same colony. Many of the chicks were quite young but looked healthy. 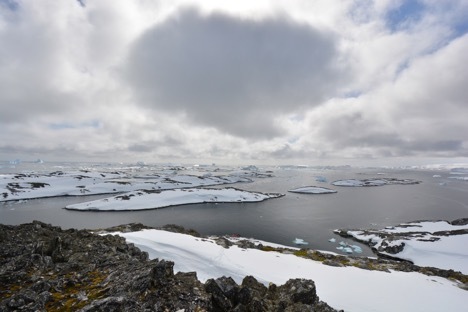 Throughout the day, we continued to explore island after island, surveying nesting birds and taking in the unblemished beauty of this Antarctic paradise. As the day came to a close, we packed our boats and made the journey home through gentle seas safely back to the U.S. Palmer Station. In our local area, the giant petrel eggs have been hatching and there are some excited parents! The chicks are darling fuzzy balls of fluff. Their cooperative parents take excellent care of them and allow us to do our measurements with no complaints. When we return the chicks, the parents snuggle them under the safety of their bodies. 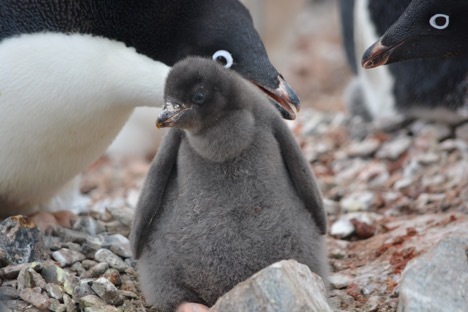 The gentoo chicks are still small but growing quickly, and most of the Adelie chicks are huge. The Adelie parents are incredibly busy trying to keep the begging chicks full. 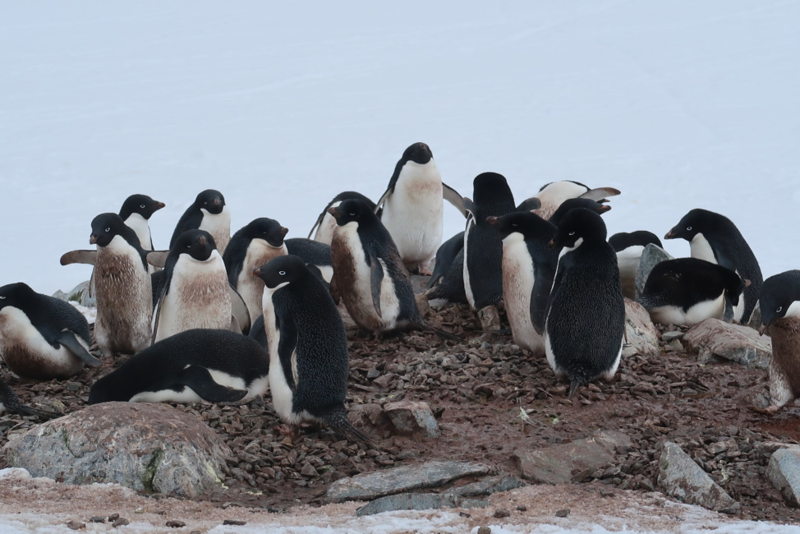 During the upcoming weeks we should start to see the Adelie chicks venture away from their parents into little chick groups within the colony. They will also start to lose their down. Thanks for reading; I will report back soon. 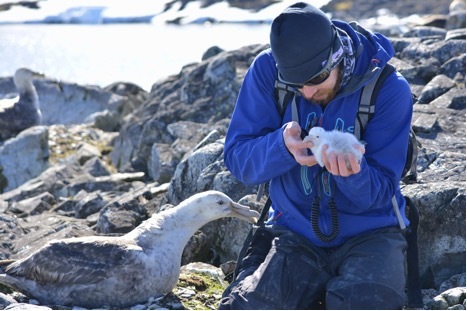 – Matthew Porter is a bird department zookeeper for the Detroit Zoological Society and is spending several months at the U.S. Palmer Station in Antarctica for a rare and extraordinary scientific opportunity to assist a field team with penguin research. With the right wind, the harbor can go from totally clear to completely packed with large pieces of ice and glacier chunks within just a few hours, icing us in at the Palmer Station. When this occurs, we have to wait for the winds to change before we can work to clear the ice out. Being stuck at Palmer for a couple days was no problem though; it gave us time to catch up on data and paperwork and we were able to hike to a cove to do some fieldwork with southern giant petrels. Land travel requires a lot of gear and also snowshoes, which we outfitted ourselves with before walking out into the “backyard” of the Palmer Station. We hiked up to the top of the glacier, where the views were absolutely breathtaking. We walked around an inlet and back down the glacier over to a couple spits of land where southern giant petrels, Antarctic terns, and kelp gulls can be found. Giant petrels can have a wingspan of almost 7 feet and their eye colors vary from light to very dark, with every individual having its own unique color pattern. Many of these majestic and often very gentle birds have been banded throughout the years, and we were able to retrieve identification numbers from several of them, which will aid in the study of these birds. We were also able to outfit one of the birds with a transmitter to collect data on where the bird is travelling. Finally, the winds shifted direction and we were able to travel by boat to continue our island fieldwork. We spent a lot of time catching up on censuses of Adelie penguin colonies – much to our excitement, many were full of parents incubating eggs! 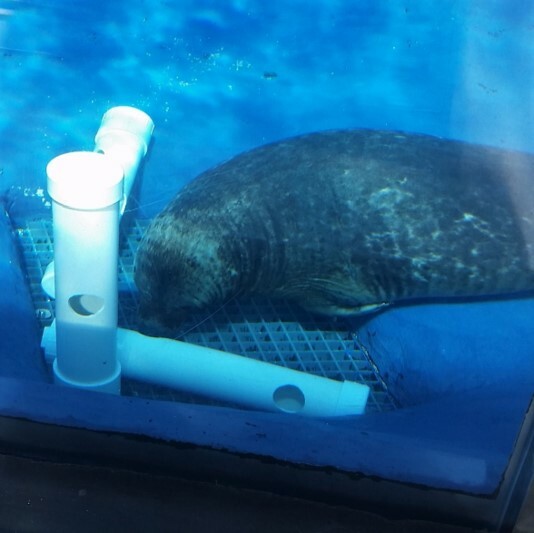 One humorous mainstay is the elephant seals that hang out around the station. Most mornings when exiting the building, there are multiple elephant seals present, which I’m told isn’t so common from year to year. We have to watch where we walk and keep our distance, giving the proper respect and privacy to all the local wildlife. In Antarctica, there are treaties and conservation acts to follow with regard to viewing wildlife, which is a good reminder of how we should treat all wildlife and wild places, no matter where we are in the world. Thanks for reading; I will report back soon!